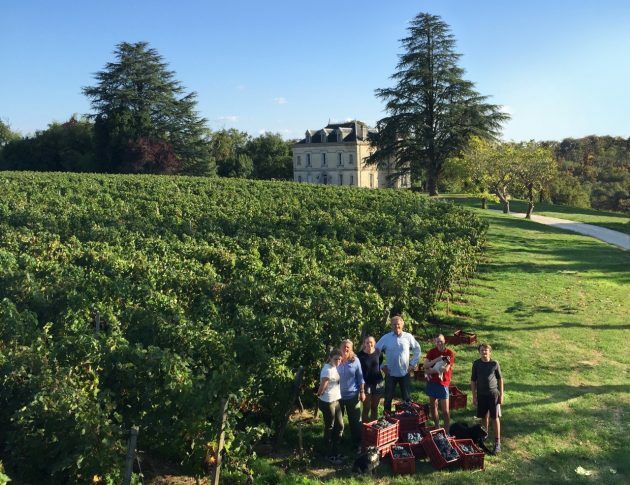 This week has been dry and sunny, so we’ve decided to hold off harvesting the reds at Bauduc for the moment. 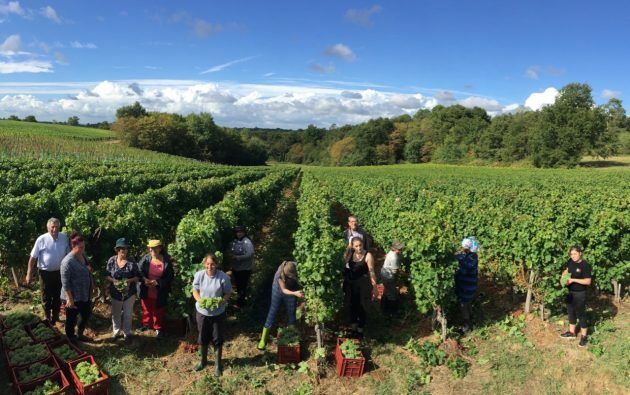 We had a heavy dollop of rain last Friday night – straight after we’d sent out an upbeat monthly review – so an excellent September came to an abrupt end. Thankfully though, the rain was just a one-off and since then we’ve had fresh mornings and glorious days. 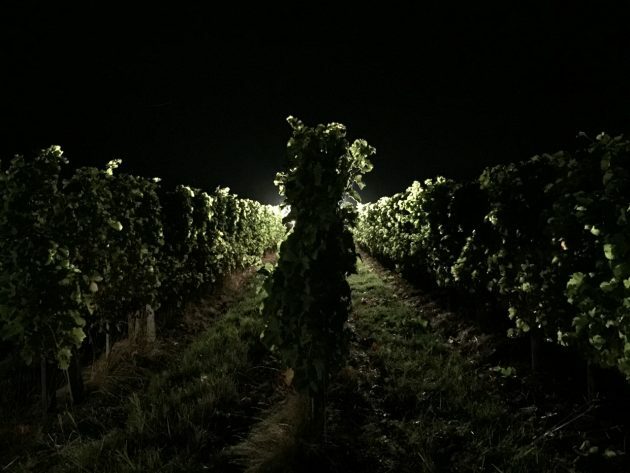 We therefore thought we’d leave that downpour to freshen things up in the vineyard, and hang on for what they call optimum ripeness. We’ve been harvesting every morning for six days in the trot, starting at a ridiculously early time before the sun comes up. The days have been dry and sunny since a heavy downpour in the middle of the month. Sandwiched in between the Sauvignon and the Semillon since then, we harvested some Merlot for our rosé at sparrow’s fart last Sunday. This is an email we sent to everyone on our mailing list – do sign up for our missives in the box above on a computer, or below on a mobile. 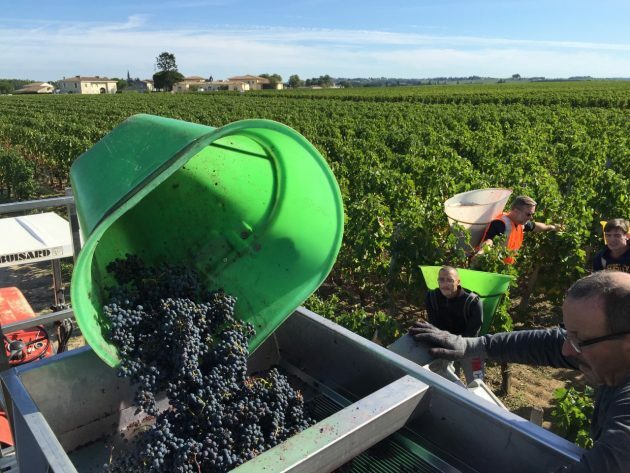 Another weekly update on what’s happening at Bauduc doesn’t really rank up there with Bake Off and Brangelina but we thought we’d keep you up to date with our harvest news and the latest photo album. 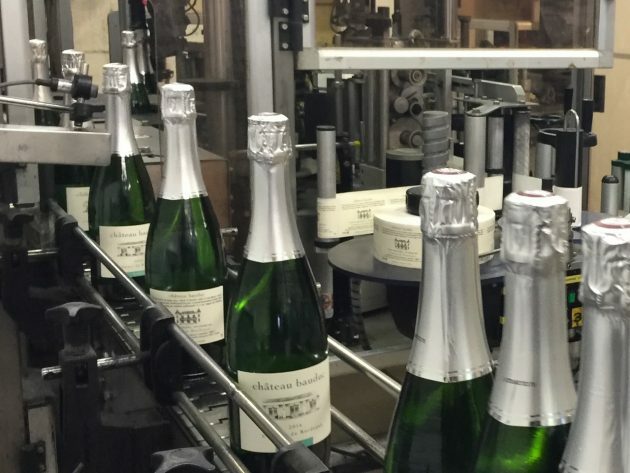 We released our first sparkling wine from Chateau Bauduc this week. It’s available direct from us for delivery in the UK. Here’s the story of the wine in pictures, from the creation of the vineyard to the wine in bottle. They’re the same images that you can find in the Photo Albums on the Bauduc website and Bauduc Facebook page too – I’m just trying to see what works. It was with great sadness that we learned that Paul Pontallier had passed away on Easter Monday. 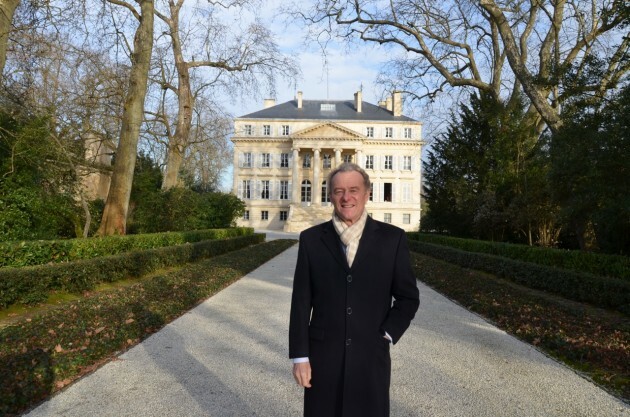 Paul was the Director of Chateau Margaux and a Bordeaux institution. 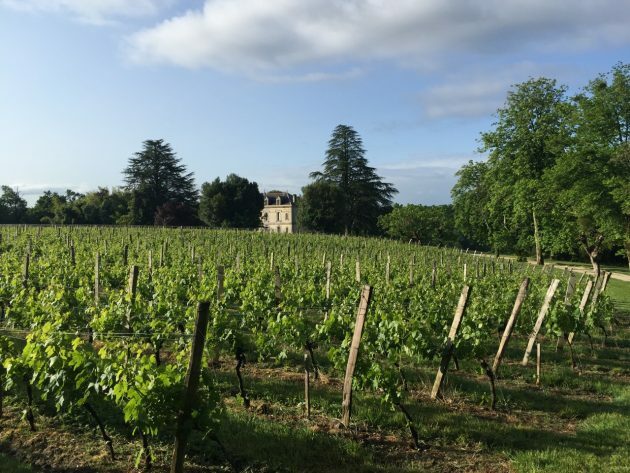 He will be hugely missed, starting with this year’s en primeur tastings in April: tasting with M. Pontallier at Margaux, where he’d been in charge since 1990, was one of the highlights of the calendar. We were thrilled that London’s smartest new club, 67 Pall Mall, poured Chateau Bauduc throughout the opening evenings last week. 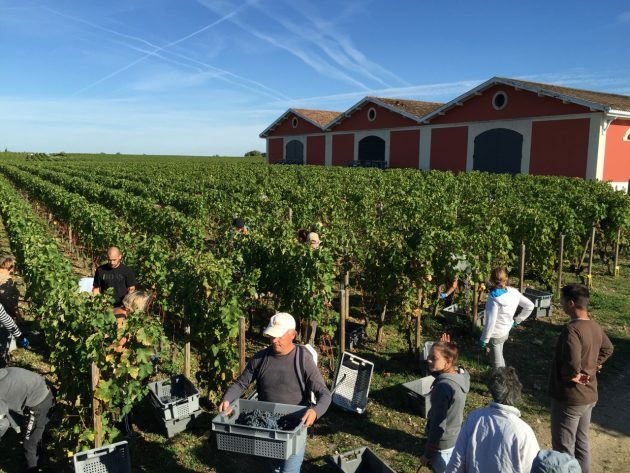 200 bottles of Les Trois Hectares red 2011 disappeared, and half as much Sauvignon Blanc on top, alongside the free-flowing Gosset Champagne. Well done to all the team – a cracking effort. 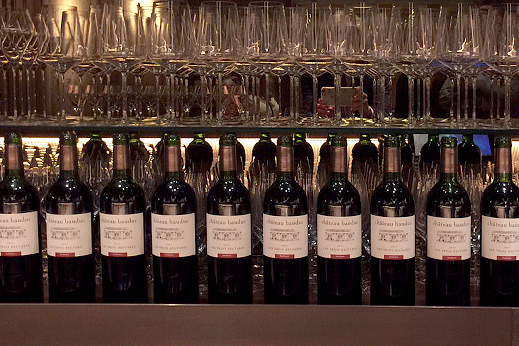 Master of Wine and club member Richard Hemming has published A first look inside 67 Pall Mall. ’Les Trois Hectares 2011 was on very fine form’ he wrote. Rick admiring the Bauduc Cabernet. No, really. 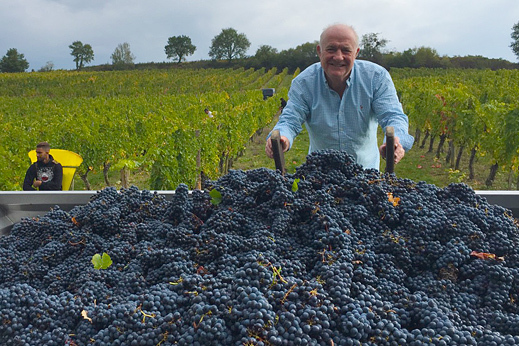 It was great to welcome Rick Stein back to Bauduc as we brought in the last of our reds on 12 October. He spent some time in the vineyard with the pickers and we chatted about the harvest and what-not in front of the cameras. Thankfully, the Cabernet Sauvignon was looking and tasting really good. ‘They’re the best looking grapes we’ve filmed’ said cameraman Chris Topliss. This year, we’ve handpicked some blocks while others we machine harvested early in the morning. We’ll see how they compare.